The big-eyed primates from Madagascar are in serious danger of extinction. 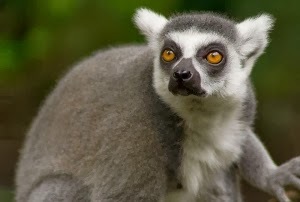 The Bristol Zoo reports that 90 percent of the lemur species is in danger of extinction, mainly caused by human interference with their habitats in native Madagascar. There has also been an increase in poaching of the animals, as well as a steep loss in funding for environmental programs that protect lemurs.